Mother's Day is coming up and it is time to give mom what she really wants - a break from cooking!!! You can give mom healthy meals that even help her lose weight, eat healthier or just give her one less thing to worry about with meals from BistroMD! I know that getting a break from cooking is at the top of my wish list this Mother's Day and I have really enjoyed not having to cook for myself and having healthy meals delivered right to my door from BistroMD. BistroMD has collaborated with fitness icon Denise Austin, to create convenient and customizable healthy meal options to combat stress overeating and the consumption. Each meal in the Denise Austin Program, available nationwide, features quality protein, is low in sodium and fat and will not contain added MSG or simple carbohydrates. 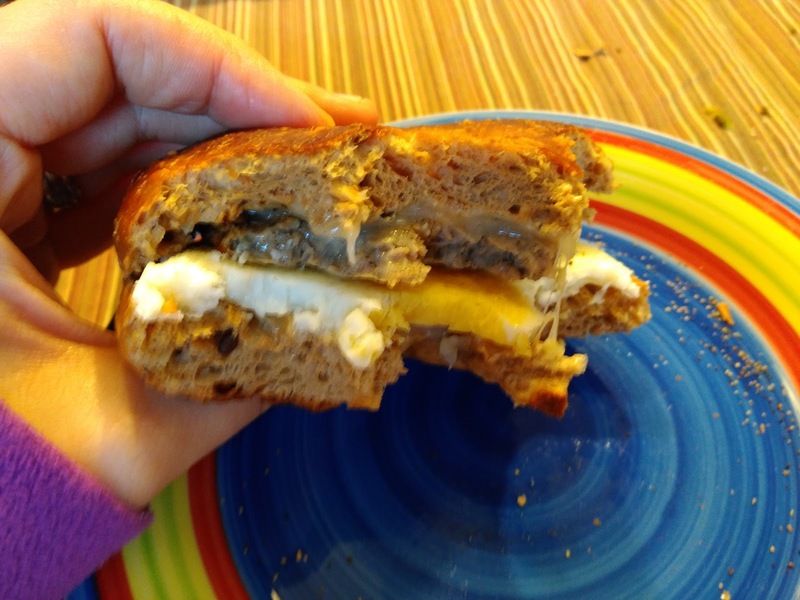 I received 15 delicious meals for breakfast, lunch and dinner and they included meals such as Dark Chocolate Chip Crepes, Canadian Bacon and Swiss Omelet and my favorite breakfast meal, the Bagel Sandwich with Egg, Turkey Sausage and Cheddar! 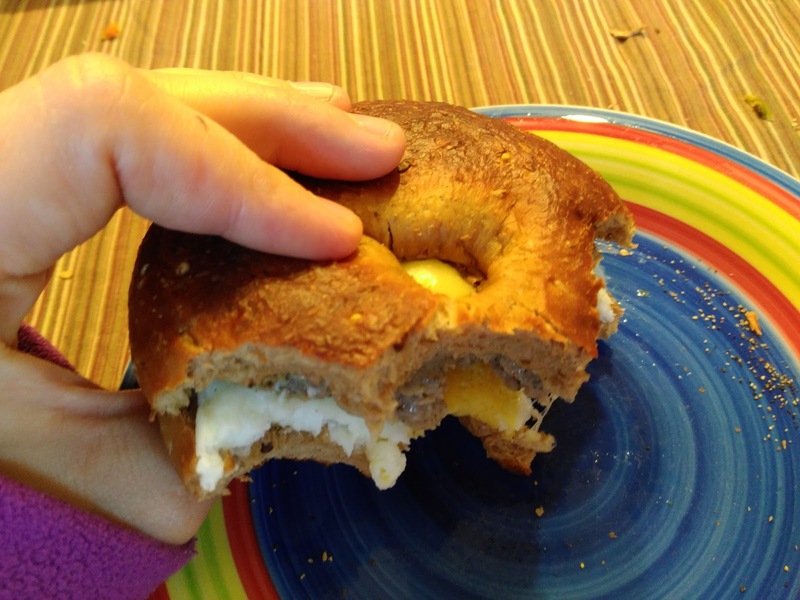 If you love bagels this is just the breakfast for you! 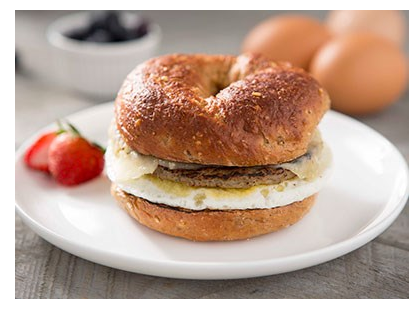 They have combined all-natural turkey sausage, whole eggs and cheddar cheese to give a one of a kind breakfast sandwich that will keep you full with 35 grams of protein. It really did keep me full until lunch which is rare for me! This delicious entree of grilled, center-cut salmon with a lemon Dijon dressing is one that you can’t get enough of. This dish is accompanied by seasoned spinach and a hearty side blend of brown and wild rice. 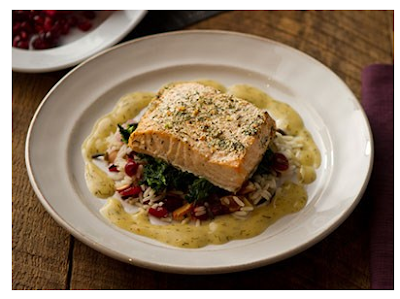 This meal was bursting with flavor and the salmon was perfectly cooked and so delicious with the lemon Dijon dressing! The meals were easy to reheat, were always right on hand in the freezer when I needed a quick meal, and were always healthy including vegetables, protein and fruits in each meal! BistroMD was great to work with, they customized my meal plan to what meals I wanted and they were delivered quickly and easily! I looked forward to trying every meal I received and was pleasantly surprised by the bold and unique flavors in every meal! I have to say, I think BistroMD meals make the perfect gift for the mom that is tired of cooking, looking to lose weight or just wants an easy, healthy meal every now and then (that she doesn't have to cook herself!)! You can purchase BistroMD meal programs (standard, Gluten-free, Diabetic, Menopause, Silver) and plans starting at $119.95 from the BistroMD website.